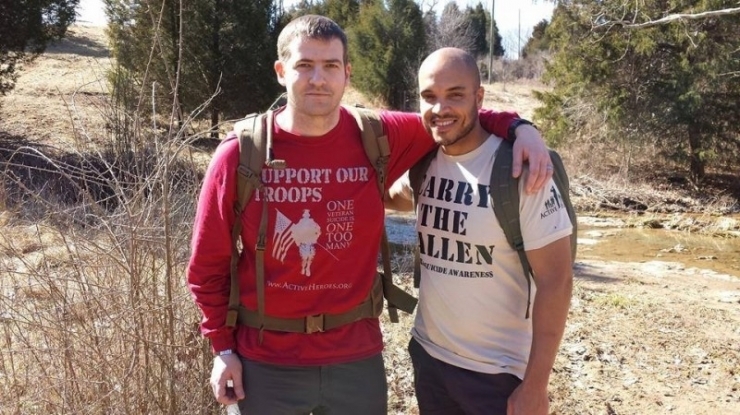 It all began in 2011 when Justin heard about a veteran named Troy Yocum who had walked the length of the United States three times over with a heavy rucksack on his back for a charity called Active Heroes. 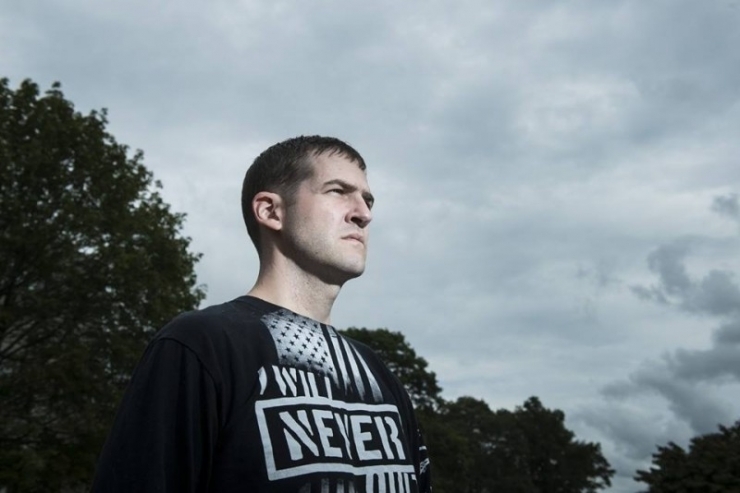 Troy was on a mission to end veteran suicide amongst soldiers with PTSD. For his efforts, Troy won the prestigious Citizens Honor Medal. The Rucksack: A component of Active Heroes is called Carry the Fallen. Soldiers and Civilians alike will sign up to carry a 20 lb. rucksack on a march for 3, 6, 12 or 22 hours. Carrying the weight symbolizes the burden that many veterans carry post-war or post-trauma. 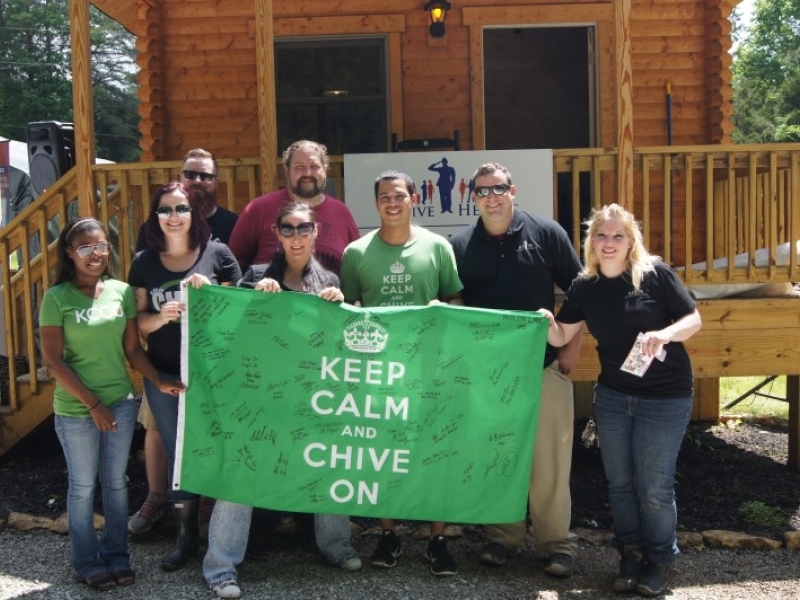 Chive Charities donated $25,000 to literally paving the road to the cabin that we need you, Chive Nation, to build. We set the goal and published the story, and opened it up to the most generous group of misfits in the world. Justin and Troy became fast friends and Justin discovered he wasn’t alone. 22 veterans take their own lives every day in America. Troy and Justin dedicated their lives to figuring out a way to whittle that number down. The mission: End veteran suicide. 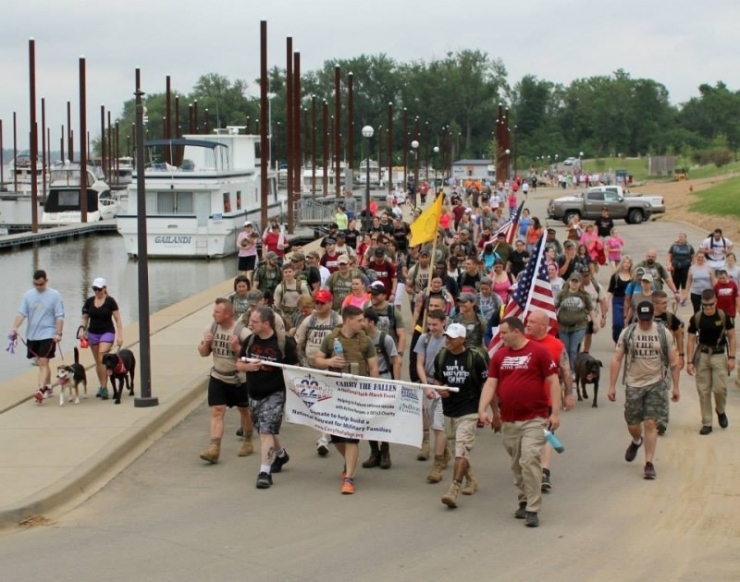 The two collaborated well together, organizing successful ruck-marches across the country. Active Heroes grew quickly out of Troy’s small office in Louisville. Since 2011 Active Heroes has helped 155 of some of the highest-risk cases of PTSD in the Louisville area. More soldiers were arriving at his door daily, a barometer that there was a great need in the area. Troy and Justin’s greater vision began to take shape. 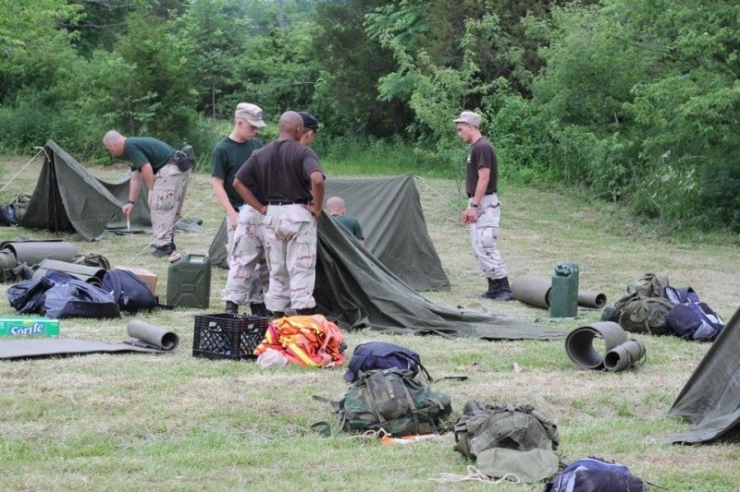 They envisioned a retreat that would be free for military veterans and their families. For many soldiers with PTSD, darkness is a constant companion. 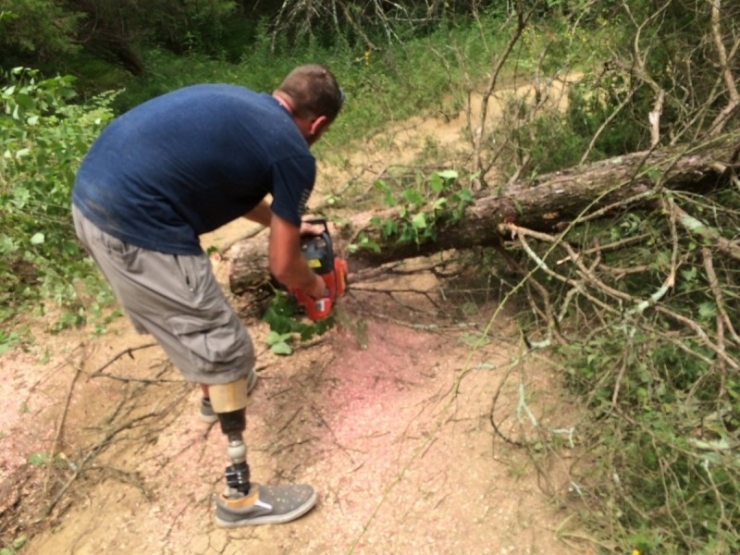 They dreamed of a sanctuary out in the countryside for veterans and their families to focus on healing through outdoor activities, nature, and family-building challenges. The power of nature provides the ability to get away from stressors quickly, put a mind at ease, and even save lives. Active Heroes found the perfect plot of land just outside Louisville with rolling hills and a fishing pond. A serene sanctuary from the darkness. 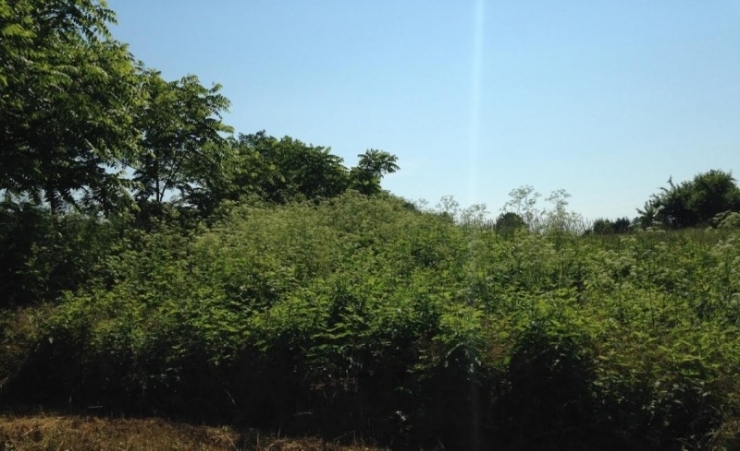 After an exhaustive fundraiser they were able to purchase the land, 140 beautiful acres in Shepherdsville, KY. The centerpiece of their vision, the Military Family Retreat, would be a log cabin: Hickory Hill Cabin. The lodge is a place for military families to stay free of charge to heal from the visible and invisible wounds of war, a place for the healing process to begin and for military families to learn how to reconnect with each other. Activities include an archery range, fishing, climbing walls, hiking trails, and even horse trails. Over 70 military families have signed up to use the cabin. One small issue – it doesn’t exist, and the funds were completely exhausted on the purchase of the land. Justin arrives in Shepherdsville to begin clearing the land for the retreat. Clearing the land took a long time, much longer than anyone anticipated. 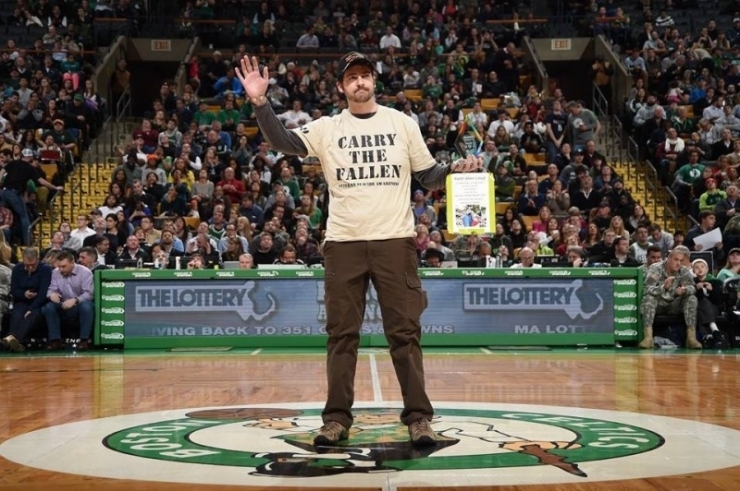 Justin was based out of Boston for a spell and was recently honored at center court at a Celtics game (they won). With the time he had left, Justin prioritized what he needed to do, the places he needed to see. 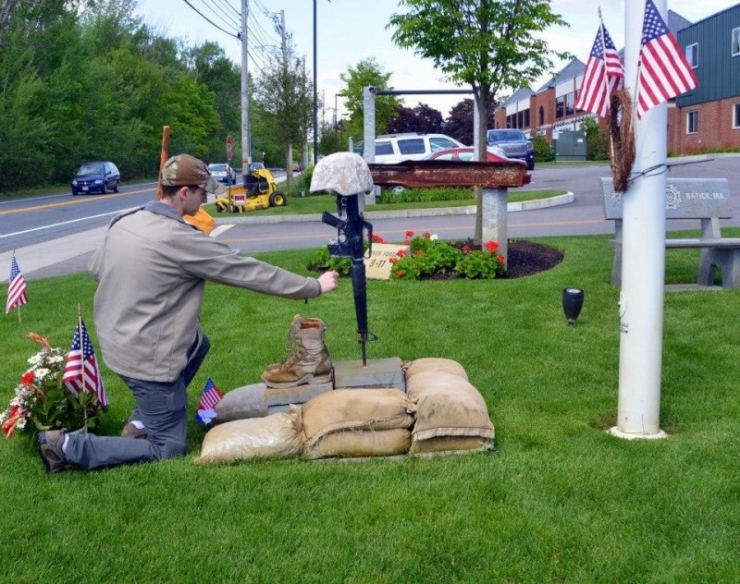 He visited the memorial at the Natick base near Boston where he served. 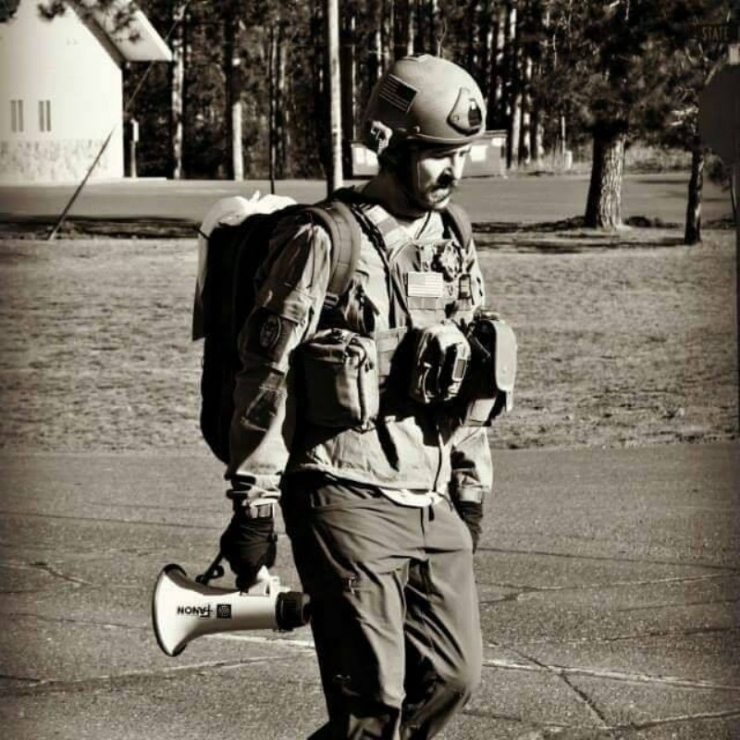 Days before checking into the hospital, Justin still put on his rucksack and marched for ‘Carry the Fallen’ in Wisconsin. Justin is a big fan of WWE Superstar, John Cena. Cena is a steadfast supporter of our veterans both in and out of the ring. I traveled to Washington D.C. on Monday with a package for Cena, hopeful that we could deliver it – A rucksack given to me by theBRIGADE’s Arturo Ybarra, a TSgt. in the Air Force. 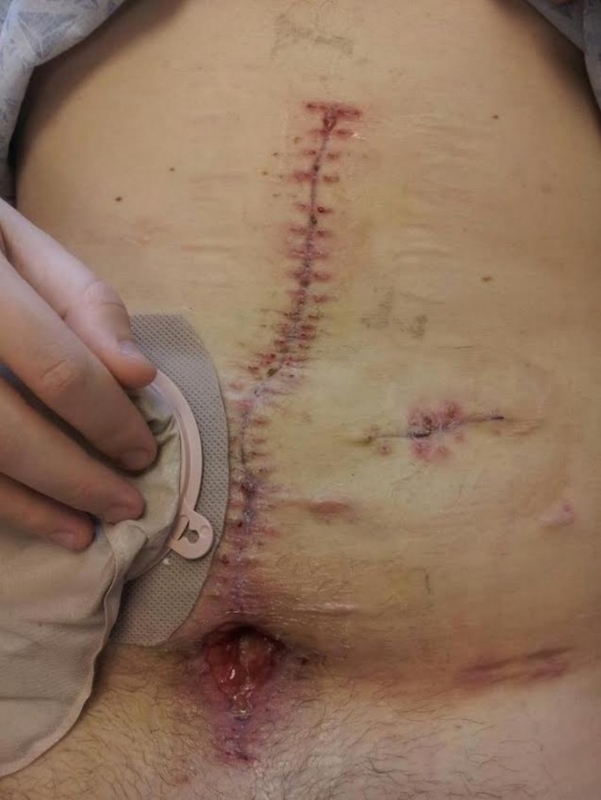 Six months, maybe, said the oncologist… not enough time to get it done. This thing that must get done. Angie Cone fields the recipient submissions at Chive Charities, there is no more challenging or heartbreaking job at our company. It was late in the day on May 26th when Justin’s submissions arrived. Angie had scarcely finished Justin’s story when she got up and left her desk. She wasn’t running, but she wasn’t walking either. I don’t know how one sits down to write a letter to a dying man. An email isn't right, it's far too impersonal. My sister Emily always writes letters when it matters; she prefers the white blank page. I always liked that about her. She picked it up from my grandmother, Claire, who taught us that putting pen to paper was important. There was weight to it. First, you’ll pardon my handwriting. My mother stressed penmanship growing up and I was a constant disappointment. 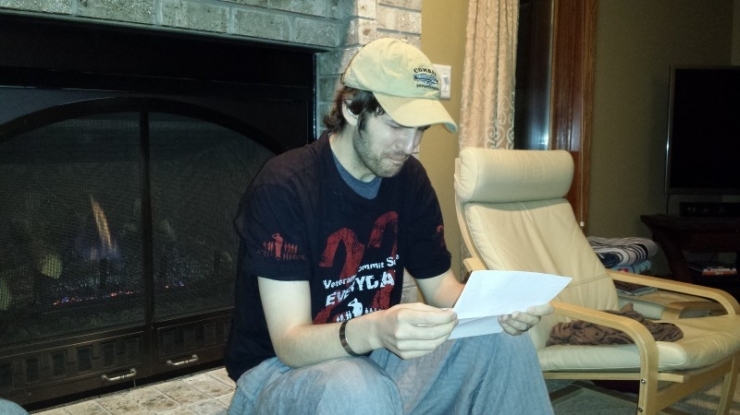 I have watched the video you made for us despite the physical difficulty it took to create. I cannot express how weak I feel my words must be at a moment where so few moments remain. But you must know Justin, through your service and efforts to help soldiers with PTSD, you have saved more lives, and sacrificed more for your country than most will in a lifetime. 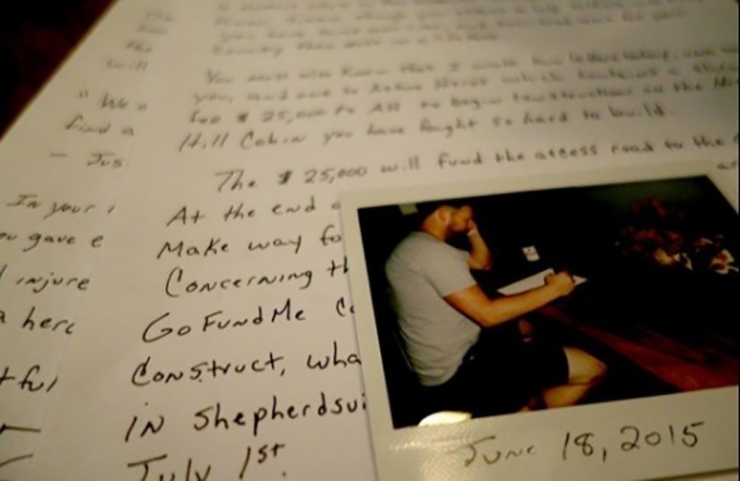 You must also know that I sent out two letters today, one to you, and one to Active Heroes which contains a check for $25,000 to Active Heroes to begin construction on the Hickory Hill Cabin you have fought so hard the last two years to have built. The $25,000 will fund the access road to the cabin. 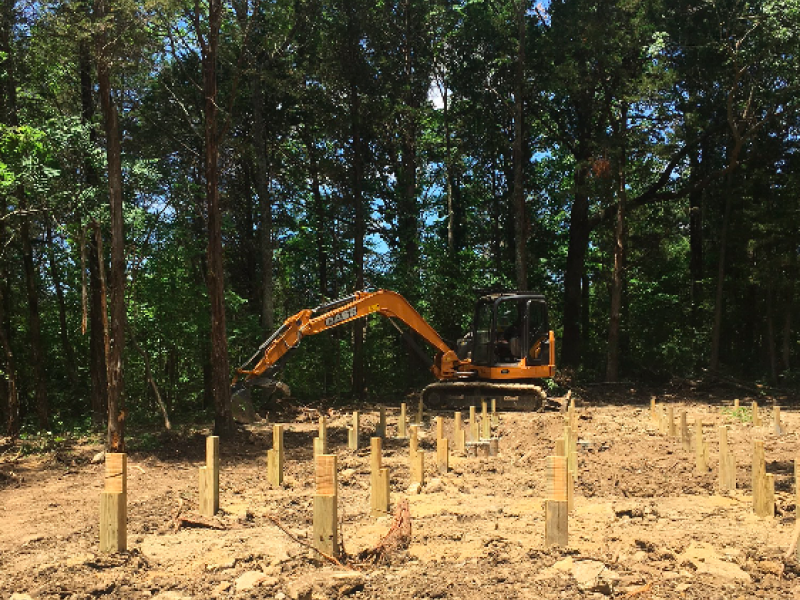 At the end of this road, a plot has been cleared to make way for the cabin you always dreamed of building. 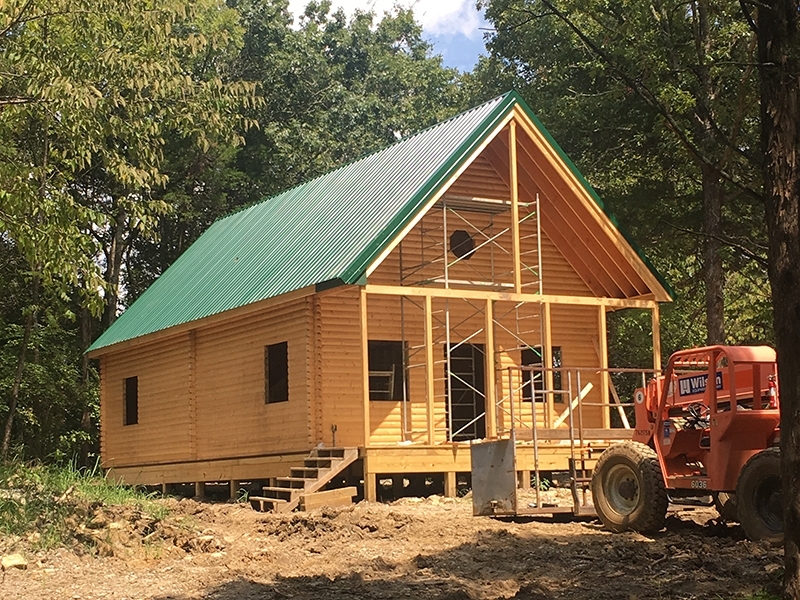 Concerning the remaining balance, we have started a GoFundMe campaign to raise the $78,000 needed to construct, what I hope to be, the first of many cabins in Louisville. You have taken this as far as you can, Justin. The Chive community will take it from here. We will not only to bring your vision to life, but we will continue to ease the burden of our injured soldiers, a burden we must all share as Americans. The cavalry, as they say, is on the way. 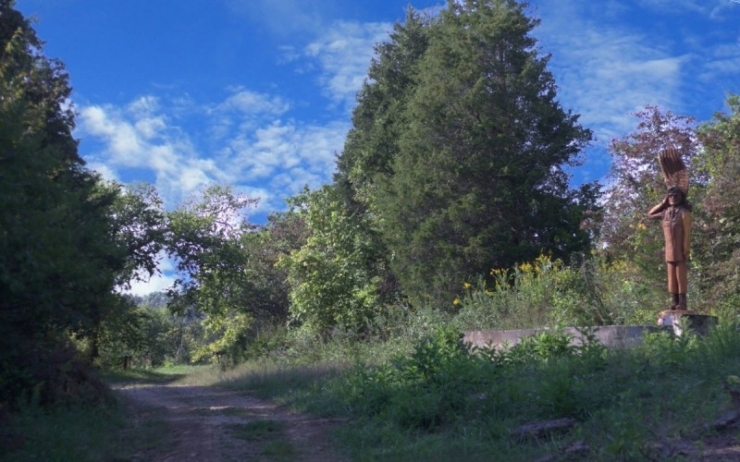 A country road leading to an empty plot of land. Something incredible is about to happen on that plot of land, I hope. The goal is set at $78,000. Chive Charities has donated $25,000 for the country road to carve a broad swath of land back to a dream. Chivers, let’s give an American hero a 4th of July send-off so strong his legacy will live on forever. Many cabins need to be built, but we’ll be the trailblazers. Donate $5 and enjoy your vacation and your families. Please share and upvote this story. Justin, I know you’re reading this now – I hope we get this done for you, friend. UPDATE #3: Donations coming in so fast we skipped over the $40k mark and hit $45,000 in a hurry. UPDATE #4: 2:01pm – $55,000!!! Donations coming in at a rate of $846 ever minute and surging…. UPDATE #5: 2:15pm – $65,000. Chivers are hawking down the goal at record pace. Ten people have donated over $500, thank you. And if you donated $5, it’s just as important. UPDATE #6: 2:30 – $78,000!!! We did it, Justin. Sit back and watch this, friend. I think the Chive Community has decided a couple cabins might fit nicely on that land. Proud to be an American today. UPDATE #8: 3:46pm – $100,000!!! UPDATE #9: 4:45pm – Soaring through $110,000. Story going viral now. 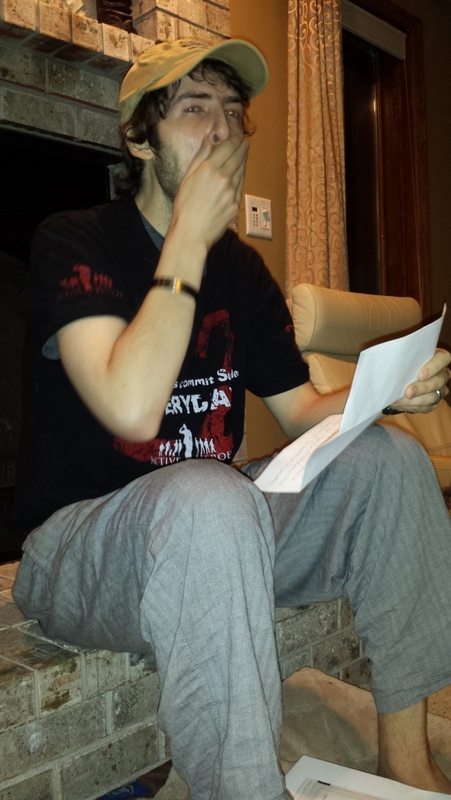 UPDATE #10: 5:21pm – $120,000!!! At this point I want to recognize all our Canadian Chivers out there. It’s Canada Day and y’all have decided to adopt Justin. Thank you, it’s a multi-national force today. See y’all in Calgary soon! UPDATE #12: 9:34pm- We have over DOUBLED the original goal. Our late-night Chivers are bringing us home. $160,000 and counting!!! UPDATE #14: Midnight – $215,000 – Justin’s campaign went live at lunch and you did in a few hours more than I hoped to accomplish in the coming days. More than that you’ve built a safe place for soldiers seeking refuge… and you’ve granted a dying man his one last wish. But you’ve also restored faith in humanity, mine even. You are an unexpected lot of misfits and the pride and gratitude I feel for what you have done for Justin will stay with me forever. I gotta sleep now, but I’ll update in the morning. Thank you, Chivers. You made good on a promise I made to a friend… and I cannot repay you for that but to say thank you. Thank you so very much for what you’ve done today. 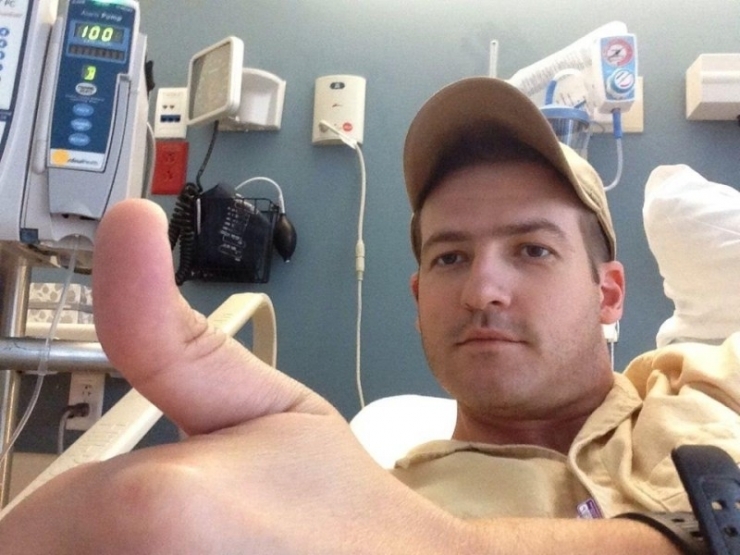 UPDATE #15: 10:40am- $240,000 and good morning, Chivers. UPDATE #17: – $270,000… and no signs of stopping.